I remember when I first came to Subang for my undergraduate degree, I was happy (still am) with the facilities here as it is extremely convenient and almost everything I need is around me, such as shopping centres, restaurants, grocery stores, and quirky cafés. That being said, the temptation to spend is almost everywhere. The problem is, these things don’t come cheap. Despite having a student ID at the time to go around and try new things for a cheaper price, I did not have an online platform that listed all the student discounts that were available in a particular area. 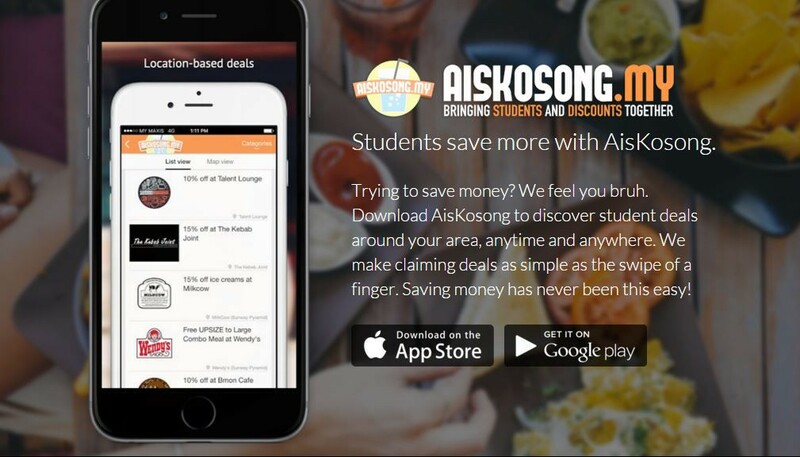 AisKosong hopes to solve the problem of students who have to search high and low on the Internet to look for discounts. 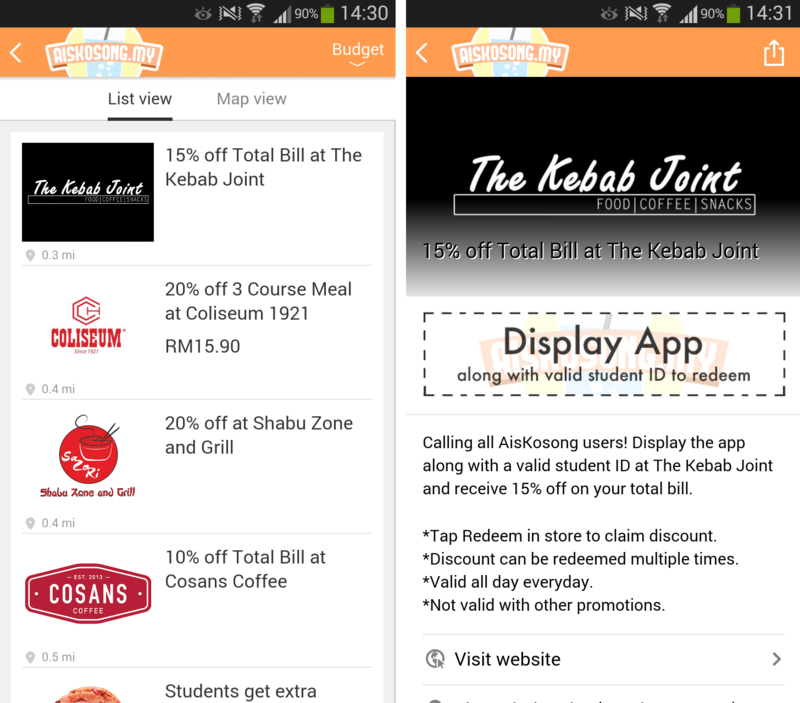 The AisKosong mobile app allows student to discover stores—ranging from restaurants, gyms, game rooms, to beauty parlours—that offer student discounts around your area at anytime, anywhere. AisKosong was founded by three young minds, Amir Hasan, Asyraf Hafiz, and Hanif Omar. Amir shared with Vulcan Post that the idea behind AisKosong was sparked during his experience of studying abroad in the UK with Asyraf. “There was this awesome culture of claiming student discounts, at least to a greater degree than what we used to practice when we were studying in Malaysia,” Amir recalled. Therefore, when Amir and Asyraf got back from Malaysia, they both decided to launch the platform in Malaysia. AisKosong was inspired by its counterparts in the UK, which consists hundreds of exclusive online and in-store student discounts. When I first discovered the app, I was curious of the origins of its name. Why is it called AisKosong? Why not something that sounds like it’s a money-saving app or a discount discovery platform? “AisKosong is the first thing that people usually order when they want to save money, and similarly we want it to be the first app they think about when they want to save money,” Amir explained. Launched earlier last month in Klang Valley, currently AisKosong have secured more close to 50 merchants in their database. Despite being a new platform, Amir shared that their pitching process was not difficult at all. 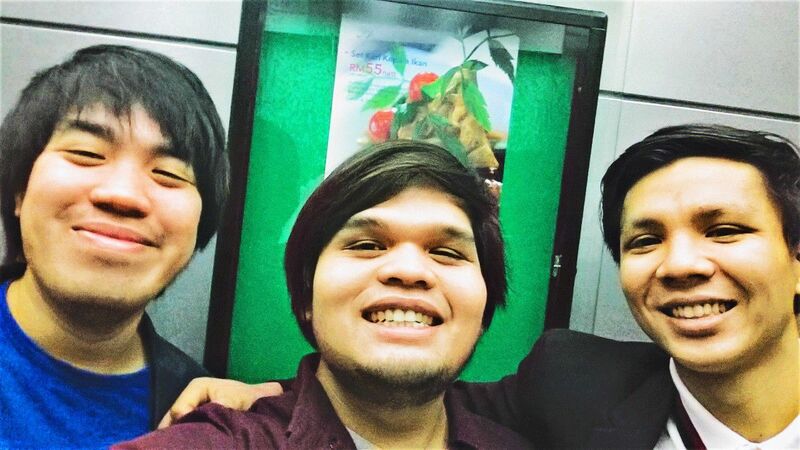 AisKosong is one of the Malaysian based startups under the ASEAN Startup Campus Accelerator Lite (SCALe) program, managed by WTF Accelerator and the Maybank Innovation Centre. 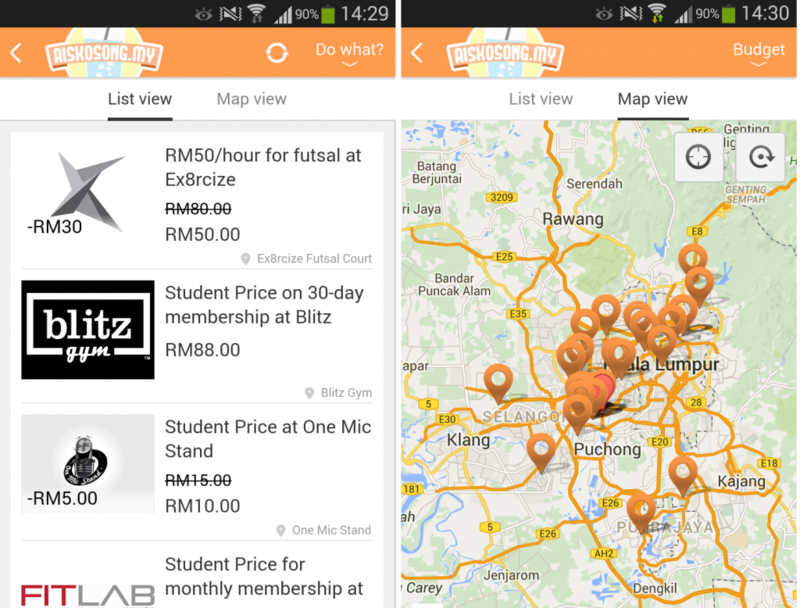 As soon as you open the app, you can browse through many discounts from 4 categories, for example the ‘I’M BORED…’ category lists places that offers fun activities which you can view via ‘List View’ or ‘Map View’. Once you have selected your preferred activity, you are provided with the necessary information about that discount as well as what you need to bring to prove that you are a student. As for the ‘HUNGRY?’ category, AisKosong does a great job in listing stores that are located at areas that consists predominantly of students, such as SS15 and Bandar Sunway. Other than that, users can locate new places to visit that they’ve never heard of before. 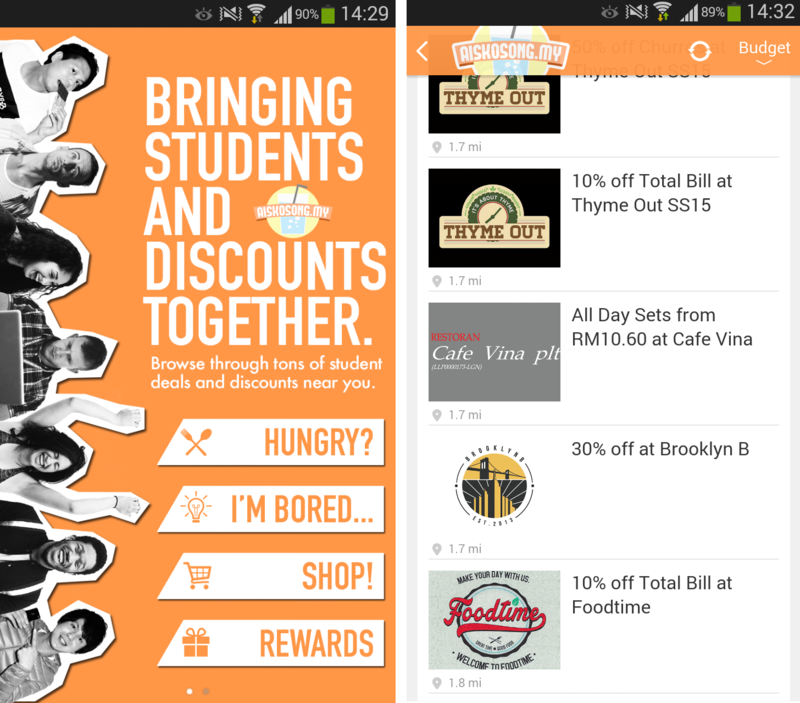 Simply put, AisKosong serves as both a discount discovery platform for students and a marketing platform for merchants. The app’s concept is commendable because although discounts is fairly sought after in Malaysia, this app caters to some of the people who just might need it the most—students. From an ex-student’s perspective, I sure wish that this app existed while I was still studying.